Why private equity firm The Carlyle Group bought PA Consulting. 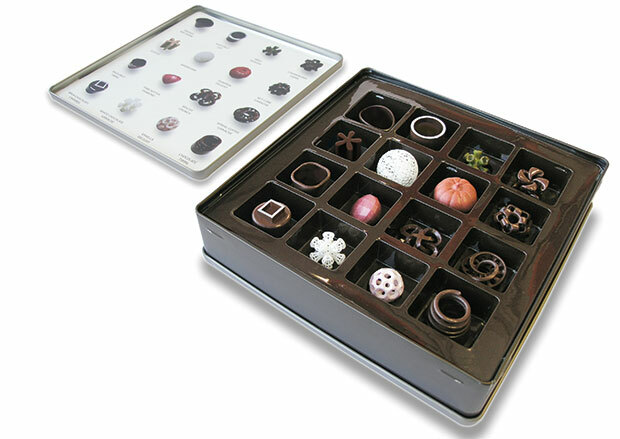 From creating 3D printed chocolates and specs to working for the MoD, PA is not your ordinary consultancy business. But now it has been snapped up by private equity firm Carlyle, can the magic be maintained? Alex Stirling (below) was turned down for a job by PA Consulting Group when he left Cambridge. He didn’t exactly bear a grudge and has gone on to do very well for himself. But now, as a big (and doubtless extremely wealthy) cheese in the European buyout team of private equity behemoth The Carlyle Group, he has had some sweet revenge. He’s bought the company. Or at least 51% of it. Carlyle’s purchase last year raised a few eyebrows. It valued PA, which had been owned by its 2,500 employees, at around $1bn. This is hardly an Uber-like multiple when PA generated revenue of £423m in 2014. But management consultancies are tricky to price and aren’t traded that often. Deals where smart, often highly-strung and demanding individuals are the sole asset have a habit of unravelling. Egos can lead to culture clash. The talent can walk. 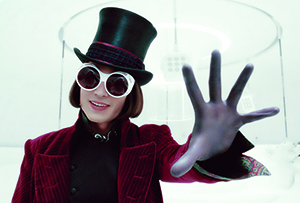 How many Golden Tickets would have bought you a Willy Wonka? But Stirling is convinced he has bagged a goodie. ‘We believe PA is at an inflection point. We have invested in the sector before and looked at a number of consulting firms because we believe the sector has strong tail winds caused by regulatory and technological change. But PA is uniquely differentiated because it can offer strategy and operational consulting using more experienced people, and then place a technology/innovation overlay. A private equity incentive mechanism can help drive growth and performance further.’ The latter reason is a not unimportant carrot that could easily turn into a stick. PE brings very clearly visible targets for PA.
PA isn’t simple to categorise and remains, in many ways, sui generis. It’s a bit like McKinsey or Bain in that it does strategy consulting for a fee but it’s also like a tech or design firm in that it creates real things and ideas, which it then invites other organisations to take onwards to market. And it has a lot in common with large US engineering companies like Halliburton, who engage in below the radar defence and security work. 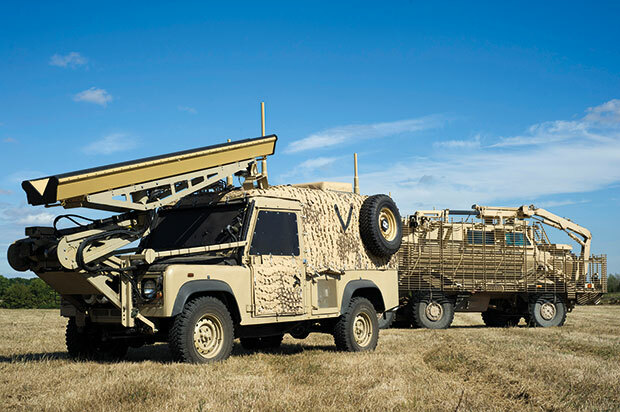 For example, one of the more high-profile projects it completed in recent years was the Panama system used by the Ministry of Defence in Afghanistan to protect troops from improvised explosive devices (IEDs). ‘We did that job in one-tenth of the time and cost it would have taken anyone else,’ notes Middleton. You would not expect an organisation that began life in 1943 training housewives to assemble the tail gun sections of Avro Lancaster bombers to be run-of-the-mill, and PA has always been keen to emphasise its unique qualities. With a tagline of ‘We Make The Difference’, it wishes to portray itself as a combination of imaginative innovation and the practical nous to get things done. But it was clearly time for a deal. (Not least because McKinsey turned over $8.3bn in 2014 and employs 17,000, so can frequently blow PA clean out of the water.) Middleton highlights four reasons why he got into bed with Carlyle. Firstly, PA is net-asset valued so acquisition and growth by bolt-ons was not easy. Secondly, PA has a sizeable pension scheme looking after large numbers of folk expecting considerable creature comforts in their retirement. This reduces its agility. The money brought to the table by Carlyle has enabled Middleton to insist that the substantial number of PA shares still owned by former employees are cashed-in, which helps incentivise existing and future staff. They are no longer working for the grey hairs tending their gardens and pina coladas in Godalming and Sotogrande. Thirdly, it gives PA favoured access to Carlyle’s 200 portfolio companies. A virtuous circle of Carlyle using one portfolio member to nurture others. An example given by Stirling is Holland & Barrett, a slightly humdrum ‘healthfood’ retailer best known for pushing large buckets of whey protein powder to bodybuilders. Maybe PA can help come up with something more interesting, less commoditised and less bricks and mortar in the ‘health and wellness space’. Finally, for a small, family-like organisation it was high time for some growth especially in the United States where PA has little traction. Some of those who have benefited from the windfall are the staff of PA’s Technology Centre in Royston just outside Cambridge, built by Renzo Piano and Richard Rogers back in 1975. For a subtle and unassuming building hidden by extensive foliage, there are a surprising number of goodies inside, some of which outsiders are permitted to see, some of which are verboten. MT wasn’t, for example, allowed sight of the cadavers. PA has always congratulated itself on being big on the smarts. With an extensive background in government and especially Ministry of Defence work – much of which it cannot talk about – it is a bit like a large group of 007’s Qs. In the dreary world of the ever-shrinking bar of Cadbury Dairy Milk what about, for example, a prototype of a 3D printing machine that makes high-end bespoke chocolates according to the customer’s taste? Sounds like the kind of thing that would give even the Oompa-Loompas a migraine, but PA has one currently under development and in search of a partner. David Hickie is one of the firm’s consumer goods experts. Hickie worked at the coalface for both Pepsico and Unilever on cleaning products, food and drinks before joining PA two years ago. He’s originally a chemist but lately has been focusing on glasses. And, as any spec wearer weary of Specsavers’ relentless upselling will tell you, the world of eyewear is ripe for some serious disruption. ‘People wish to express themselves in fashion and style with new haircuts, clothes or shoes,’ says Hickie. ‘But they only ever go to the optician when they think they need to. And when they get there they are referred to as ‘patients’. So how could glasses be personalised and turned into a more disposable fashion item? What about the holy grail of a batch size of one? Answer: let the customer design them digitally, choosing style and colour. And what if, once you have decided on the look that you think suits you, you stick the result up on Facebook and get your friends to comment or maybe even amend before the digital file is sent off for production? 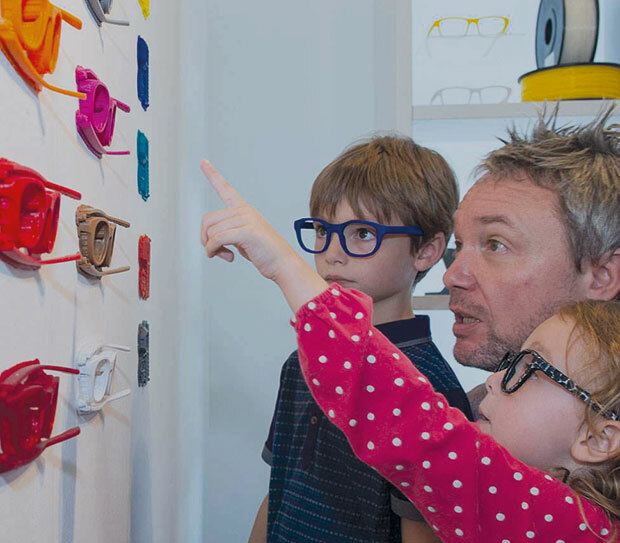 And then manufacture them (frames only, not lenses) there and then using 3D printing. Sounds good to this wearer of face furniture. ‘We don’t just want to focus on the end product,’ says Hickie. ‘We’d like to disrupt the whole industry: supply chain, customer experience, business model. Optical stores are behind. They generate very little theatre and in-store footfall.’ Hickie and his colleagues have been talking to an enthusiastic American entrepreneur who is building a consortium to take the specs on. He’s doing brand, sales channels and an activation strategy. ‘We’d have then to let it go,’ says Hickie. ‘But, of course, after we receive our fee for service. We think it has a great chance. In this world you have to be first, best or only.’ Maybe PA has an idea that could, for the time being, be all three. It’s not just the relatively frivolous world of chocolates or self-designed specs that interests them in Royston. One of PA’s other specialisms is healthcare in which there is – despite the current founderings of Big Pharma as it searches in vain for the latest blockbuster drug – currently an immense amount of global interest. Frazer Bennett is one of PA’s healthcare technology experts. Much of the noise in healthcare and wellness wearables in recent years has surrounded devices like the fitness tracker system Jawbone. ‘The thing about Jawbones,’ notes Bennett, ‘Is that it’s precisely the wrong set of people who are into them.’ Bennett refers to ‘the worried well’. Those who obsess about health and fitness are not those who typically suffer with chronic conditions like diabetes or arterial disease. However, standing over a patient to check he or she has taken the right amount of drug at the correct time is immensely time-consuming and expensive. GPs cannot accompany patients home with their prescription. District nurses are costly and thin on the ground. So rather than use the coming benefits of the Internet of Things for something daft like monitoring your fridge temperature, why not make a low-cost health patch the size of a UK 10p piece that can be used for remote monitoring of patients in real time? The one PA has developed is just 1mm thick and has a broad range of potential uses. It is activated when taken from the packet and attached to the skin. 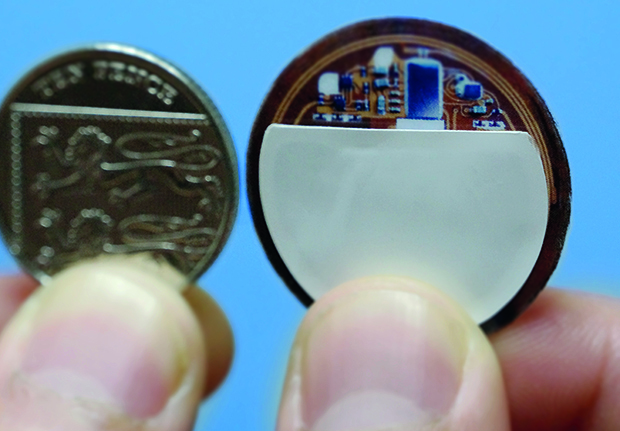 There is a sensor for the monitoring and a tiny transmitter whose signal is picked up by a watch or pendant with a Wi-Fi connection. From there the data can be forwarded to the cloud, picked up by a service provider and passed on to the doctor or nurse. PA’s first customer for the patch has been a big pharmaceutical company with a mega-drug, which sells 200m doses each year. However the drug is highly susceptible to adherence. It loses effectiveness if it is not taken precisely as prescribed. The doctor needs to know if the patient has forgotten to take the pill, but the drug company needs to know this, too. In a world run by reputation, the drug’s performance and its good name will suffer if the pill is not taken regularly. PA achieved a target price of 30p a patch on a production run of 200m units a year. They cannot be made in China, incidentally. PA is looking at other applications that include monitoring lung conditions, where a similar patch could save the elderly from trips for check-ups and free consultants to see more patients. And what if every British soldier sent on arduous and occasionally fatal exercises in the Brecon Beacons had a patch that could transmit vital signs, including those for dehydration, back to a central monitor – or even a platoon commander – to make sure they were in no danger? This has already been brought to the attention of the Ministry of Defence. Innovation is tough. New ideas don’t come easy and there’s many a slip twixt cup and lip. But something novel that captures the imagination can often beat just tinkering with, removing cost from and sweating what you’ve already got. ‘The thing about FMCG companies these days is that they’ve kaizened themselves up the wazoo,’ says Middleton, referring to the downsides of the Japanese-inspired process of continuous improvement. This is most excellent use of the English language – not a compliment one often finds oneself paying a management consultant. Stirling explains his meaning: ‘The last 10 years has all been about efficiency and a focus on cost-cutting. But you cannot cut your way to growth. Businesses must innovate and they are not good at R&D.’ But Stirling is sure he knows an outfit that is. And, after all, what would you rather do? Make a living by chiselling away at the size of the bar of Dairy Milk and outsource production to Eastern Europe, annoying your customers, or enchant them with an everlasting gobstopper or hair toffee. You don’t have to be Willy Wonka to know the answer to that one.